high-quality, sustainable logistics space totalling 90,000 square metres on a 25.9 hectares site. The prime location of the park directly on the D52 motorway, which links Brno to Vienna, makes the park an ideal distribution hub for domestic and international logistics service providers and light manufacturers requiring easy access to markets in Slovakia, Austria, Hungary and Poland. 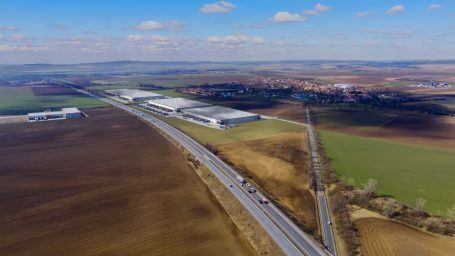 “We are excited about our new development in Brno, which with its great visibility and advantageous location on major access routes, will undoubtedly prove to be a valuable addition to what is now one of our best performing portfolios. We have been allocating capital to concentrate on core markets such as Prague or Brno where there is huge pent-up demand for the kind of high-quality logistics facilities backed by superior customer service that Prologis offers all its customers,” says Martin Polak, senior vice president, regional head, Central and Eastern Europe.